AN OFFICIAL visiting from Chile yesterday encouraged local companies to use the country as a springboard to access the fast-growing Latin American markets. Chile's stable political system, predictable legal framework and open economy made it ideal for this role, said Mr Matias Mori, executive vice-president of Chile's Foreign Investment Committee. The country has free trade agreements with 59 countries and double taxation agreements with 24 nations, he noted. 'What Singapore or Hong Kong does for China or Asia in general, it's the same thing we do with Latin America,' he said. 'We're the entry point, we're a very open economy, we have a very robust network of free trade agreements that allows us access to 59 countries around the world. Chile ranked well in Transparency International's Corruption Perceptions Index last year. 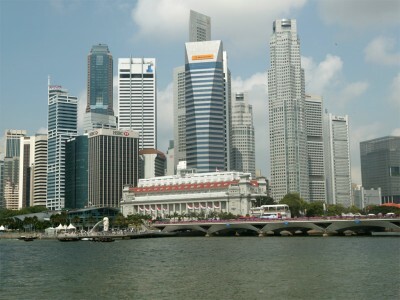 Its ranking of 22nd out of 182 economies was lower than Singapore's, at No.5, but better than the United States, which was in 24th spot. Chile was also this year ranked 39th out of 183 economies by the World Bank in terms of ease of doing business, ahead of other Latin American countries like Peru (41st), Colombia (42nd), Mexico (53rd), Argentina (113th) and Brazil (126th). Its sovereign debt is investment-grade, ranked A+ by Fitch Ratings and Standard & Poor's. Mr Mori said language would not be a large problem, and 'the transition for Singapore companies will be easier than, say, for Chinese companies that don't speak English'. 'English is not as commonly spoken as it is in Singapore, but it is easier to get by speaking English than any other Asian language,' he added. Spanish is the predominant language in Chile. Mr Mori was speaking to The Straits Times ahead of a roundtable organised by the Embassy of Chile and the Singapore Business Federation on investment opportunities in Chile. He said Singapore companies could check out sectors such as mining, services, food, energy, infrastructure and manufacturing and assembly. Local companies with operations in Chile include SembCorp Industries, which has water treatment operations there.